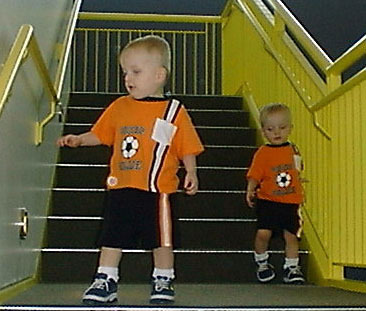 The museum was pretty fun, but our favorite part were the stairs. We spent most of our time there climbing up and down them. We were both good boys and always used the railing. Mom and Dad seemed to get kind of bored though.